There are nearly a dozen drainage pits or potholes on Irwin Road starting from sub-urban bus stand to Government Ayurveda College Circle including at Nehru Circle. 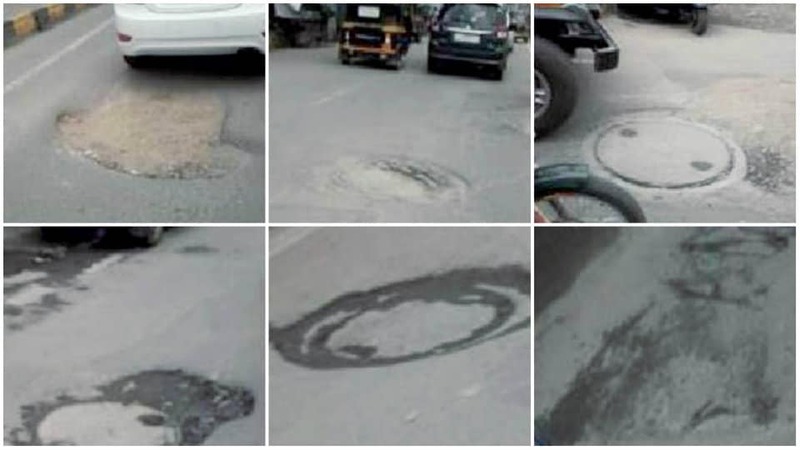 Almost all the manhole pits are not levelled on par with the surface of the road (see photos). These are causing inconvenience to all the road users and posing a threat of skidding of two-wheelers and cycles. Getting back pain is sure if one travels on two-wheeler regularly on this road. These pits are also slowing down the traffic movement and hampering the smooth movement of the vehicles. With increased traffic by manifolds during Dasara period, which is fast approaching, vehicle movement may slow down further causing traffic snarls on this stretch. As the road widening of this stretch was shelved, Mysore City Corporation (MCC) may take up at least repair jobs to fill the potholes and raise the manholes to road level to enable smooth movement of vehicles.